Churchills Keeps the scene alive! Legendary shock rockers the Mentors return to Churchills Sat July 28th! BLACK MARKET FEST - BLACK MARKET 1 YR ANNIVERSARY TODAY! ALL ENGLAND WORLD CUP GAMES WILL BE SHOWN! http://www.miaminewtimes.com/music/ahol-sniffs-glue-has-boutique-concerts-at-churchills-pub-10403645AHOL's Cyber Trap Boutique June 6-9 at Churchills! Vote for Churchill's As Best Rock Club & Best Live Music Venue! South Florida Musicians gather to help one of their own. The Miami Jazz Jam turns 18 on Monday April 9th, 2018. 38 Years of Churchill's Is Coming! Raekwon Cooks up a show Tonight! Andy Rourke of the Smiths Headlines the Kitchen Club Saturday Night at Churchill's! Riot Grrrls and the Womyn of Folk tonight! Miami bands keep Ska alive! Churchill's is the best live music venue! INC 2017 is right around the corner! The Roast of Mr. C! Plastic Pinks Celebrate New EP With a Churchill's Takeover this Saturday! MADBALL SURPRISE SHOW THIS SUNDAY! Here is the first wave of bands for the 37 Years of Churchill's Block Party! FEMME FEST CELEBRATES WOMEN WHO ROCK! MOBB DEEP TICKETS NO ON SALE! Food & Beverage Magazine introduces, "The Lemmy!" Churchill's Proudly Presents your most affordable NYE party! FREE RSVP UNTIL 5pm TODAY! Churchill's & The Fridge Art Fair! The Fridge Art Fair is coming! Check out the Miami Tox video recap from our Bands for Bernie event! Miami Tox Goes to Church(ill's)! Churchill's Turns 36! 4 Day Bash! Churchill's Pub turns 36 and celebrates with a 4 day no cover bash! English Premier League this weekend! MORNING AGAIN TONIGHT AT CHURCHILLS! Bowie in Space returns to Churchills Thursday July 9th! Churchill's Pub is your place for sports! 2015 BEST OF - BEST ROCK BAR! BLACK KVLT SUMMER METAL FESTIVAL THIS SUNDAY! The UEFA League Champions Final! The Rolling Stove is taking over Churchill's Pub Kitchen Starting June 1st! No Cover for Jazz night starting June 1st! The Miami Jazz Jam turn 15 on 4-20! Underground Music Thrives at Churchills! Edison V West Minster Christians! Check out the interview with Rat! Fundraiser to help send Skateboards to Cuba! 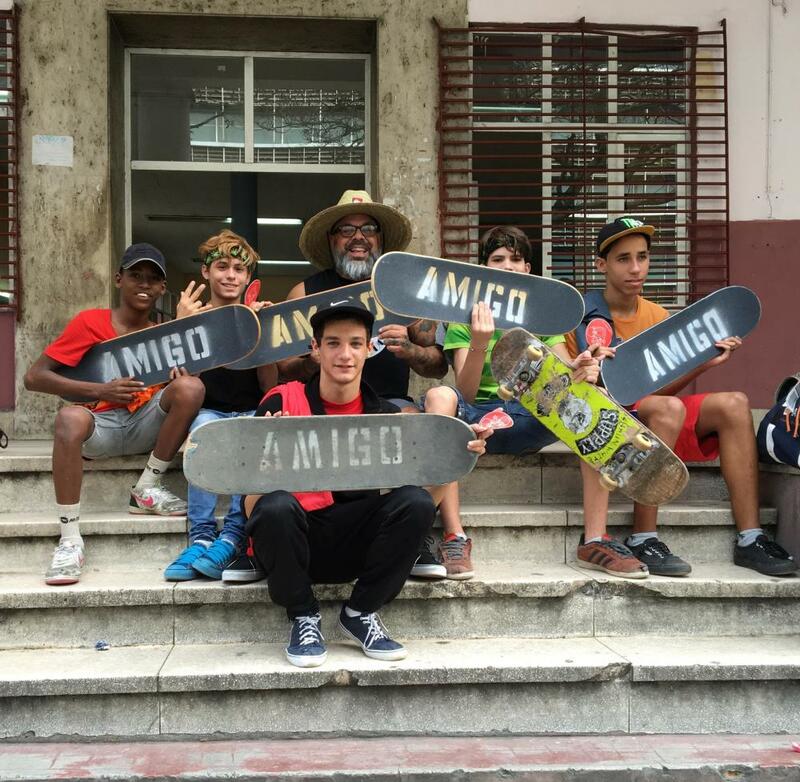 Help bring skate boards to Cuba! BLACK KVLT FEST 2 THIS WEEKEND! English Premier Leage and More This Weekend! Enland Premier League Continues This Weekend! The Vibrators are back! Tickets available now! English Premier League continues Saturday! 35 YEARS OF CHURCHILLS - 4 DAY FEST THIS WEEKEND! This weekend we celebrate 35 years of Churchill's with a 4 day festival starting Friday! English Premier League continues at Churchills! English Premier League Kicks Off This Weekend! World Cup 2014 Continues at Churchill's Pub! Churchill's Pub is your World Cup 2014 Headquarters!